The U.S. State Department is wasting our tax dollars in Mexico on a series of programs tied to the Merida Initiative to battle cartels and drug trafficking. Transnational criminal organizations (cartels) based in Mexico thrive as the U.S. State Department balances U.S. law enforcement agencies’ priorities with diplomatic concerns, often placing politics and diplomacy above priorities such as dismantling the criminal networks pumping narcotics across the border into U.S. communities. 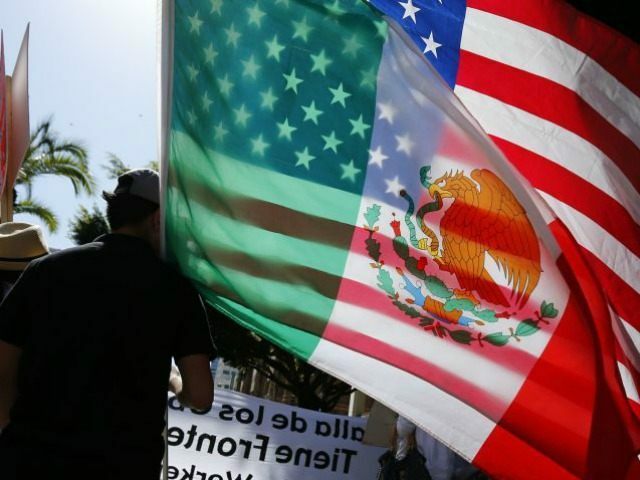 The Merida Initiative is a $2.5 billion aid program run by the U.S. Department of State aimed at helping Mexico deal with organized crime and drug cartels. The program calls for equipment, helicopters, and a series of capacity building programs aimed at improving and professionalizing Mexican law enforcement while respecting human rights. After almost 10 years of the Merida Initiative being in place in Mexico, numerous key programs, ultimately directed by career diplomats without law enforcement experience, that are at the core of modernizing Mexican law enforcement have not been finalized. These include anti-gang programs, anti-kidnapping programs, and a U.S. southern border strategy. In February of 2017, I left Monterrey, Nuevo Leon, Mexico, where I spent three years working for the U.S. Department of State as the Regional Law Enforcement Program Manager in northeast Mexico for the International Narcotics and Law Enforcement Program (INL), Merida Initiative. I was assigned to the U.S. consulate in Monterrey responsible for six northeastern states of (Tamaulipas, Coahuila, Nuevo Leon, Zacatecas, Durango and San Luis Potosi). My job was to lead the Merida Initiative efforts in northeast Mexico as the liaison for my INL directors and team leaders based out of Mexico City and high-ranking government officials of Mexico. When I arrived in Mexico to take up my new position, I eventually discovered a program funded by U.S. taxpayers that had been set up to fail. I was not the only one to come up with this conclusion, so have many other career law enforcement professionals who have passed through this program. The various programs that were set up by career diplomats relied on our Mexican counterparts to report their progress based on an honor system. The lack of oversight made it impossible to verify that the host government was following their agreement. During a meeting with senior INL officials in Mexico City in 2016, I informed them that two separate confidential sources had reported corruption with a key local contact our program was supporting. The contact was a high-ranking police official who was working for the Gulf Cartel and was using Merida Initiative programs to steal money from his own government by playing a shell game. This individual was also in charge of the background investigation unit for his state and he was taking bribes from individuals who could not pass a polygraph, or the investigation needed to get a government job in his state. At the meeting, I had documents to support the claims and an audio recording of the individual discussing criminal activity. The confidential sources had not reported the individual to their own government out of fear of being fired or killed by those corrupt officials involved. The senior INL officials never asked to see the evidence nor asked any follow-up questions. They simply responded that it was terrible news. I walked out of my meeting feeling sick to my stomach realizing that they did not want any news that could disrupt the false narrative of success that is being pushed to Washington D.C. that maintains continued funding for the INL program. Our Mexican counterparts that we meet at the ground level are begging for help, some placing their lives in danger in reaching out to us and we ignore them—the INL program is a spreadsheet at INL Headquarters in Mexico City that is not set up to address real security issues brought to us by local government contacts. This program is being run by career foreign service officers, career diplomats with zero law enforcement experience. There is very little input from law enforcement personnel, and for the most part zero input from anyone who ever actually put on a police uniform. Many of the capacity building programs to be implemented are aimed at uniform-wearing Mexican police. These career diplomats rotate into these INL/Merida assignments for primarily a two-year tour, occasionally three years, and then they return to regular foreign service work. To be fair, I have worked with some outstanding career foreign service officers, they all had one common trait: they did not believe they were law enforcement experts because of a position they were occupying. They listened to their police expert contractors and they made informed decisions. In the summer of 2016, the new incoming director pulled out all personnel from the field and moved them to INL headquarters in Mexico City. The personnel they pulled out were contract police advisers in originally assigned to Northeast and Northwest Mexico. The advisers had originally been tasked to monitor training that was going on in the 11 northern states, much of this training was going to be a follow-up to training already provided through INL/Merida programs. One of the pieces of training was a follow-up for first-responders and the preservation of crime scenes that were given to instructors, so they could train the rest of the country. Since INL personnel was pulled off the field, the program would rely on the Mexican government’s word to track the training as part of the international agreement. I had personally been warned by high-ranking Mexican government officials that the training would not be followed up on if U.S. advisors were not monitoring. All professional relationships that had been developed have since been lost and the INL program is totally blind in the field—dependent on receiving updates on an honor system from government of Mexico officials—without taking into account some of these officials are corrupt. One of the crucial programs designated for the INL/Merida initiative deals with the creation of a comprehensive anti-kidnapping and anti-gangs program nationwide. When I arrived in Mexico in March 2014, I learned that the individual tasked with developing this program along with the career state diplomat in charge of supervising it had zero law enforcement experience. As of today’s date, 10 years in the country, a country-wide plan has not been developed for either anti-kidnapping or anti-gangs. Due to the lack of law enforcement experience from those managing this program, they were unable to detect that they hired an unqualified anti-kidnapping contractor until his lack of expertise became apparent when he met with the anti-kidnapping teams of Mexico. The contractor was not up to date with basic terminology used by anti-kidnapping experts in the field, had difficulty expressing himself in Spanish as required, and did not recognize technical equipment currently utilized for these complex investigations. These shortcomings were only recognized because I was sent to introduce the contractor to the anti-kidnapping teams because of my expertise. I previously worked kidnapping cases during my career with Phoenix Police Department and also led an anti-kidnapping unit in Haiti, for the U.S. Department of State/United Nations where my team investigated 300+ kidnapping in 20 months. This experience was recorded in this report by Sin Medios. The anti-gang program in Mexico experienced similar failures due to the same circumstances that plagued the anti-kidnapping program—a total of four different gang assessments were performed in my area of responsibility without a finished product ever being completed. The programs run through the Merida Initiative are run by career diplomats who are not attuned to the culture. The programs would be great tools for modernizing law enforcement in any U.S. city; however, the programs do not take into account the cultural intricacies of Mexico. Many of the career diplomats working in Mexico learned Spanish at the State Department Foreign Service Institute Language School. While they know how to communicate, they miss the cultural intricacies. A culturally attuned police adviser, such as any of the many Spanish-speaking lawmen who have worked organized crimes in the U.S. can become an asset to other U.S. agencies in Mexico. Local Mexican law enforcement gravitates to INL/Merida personnel because they represent a large budget. Once trust is developed, those contacts become sources of information about corrupt Mexican law enforcement officers in the program, officers with ties to drug cartels, and other issues that the program should address.